Now in its second season, Fox’s New Girl centers around quirky and upbeat single teacher, Jess Day. After a bad break-up, Jess is forced to find a new place to stay and stumbles upon her future roommates: Nick, Winston, and Schmidt. Nick is a law school dropout turned bartender struggling to pull his life together and get over his cynicism. Schmidt is an outrageous character who focuses on being the coolest guy in the room and trying to win over Jess’ supermodel best friend CeCe. Winston works at the local radio station and is arguably the least extreme roommate but contributes his own element to the apartment. Together, the four of them get into ridiculous situations and help each other through heartbreak and whatever odd situation they are faced with next. New Girl premiered on Fox on September 20, 2011 with the second season airing on September 25, 2012. By December 15, 2011, New Girl had been nominated for the Golden Globe Award for Best Television Series-Musical or Comedy, and Zooey Deschanel was nominated for the Golden Globe Award for Best Actress- Television Series Musical or Comedy. New Girl has received five 2012 Primetime Emmy Award nominations, including “Outstanding Casting for a Comedy Series,” “Outstanding Main Title Design,” “Outstanding Supporting Actor in a Comedy Series” for Max Greenfield (playing Schmidt), and “Outstanding Lead Actress in a Comedy Series” for Zooey Deschanel. I love the raw humor in this show. All of the characters are hilarious and relatable, while each actor brings his/her own flair to the role. I cannot say enough about how funny and talented the main leads are. Zooey Deschanel is an absolute crackup and brings a lot of talent to the show, as is evident by her multiple nominations. New Girl is a light comedy that is sure to brighten any watcher’s day through the embarrassing escapades of the characters. I only wish each episode was longer. Because they are only thirty minutes each, the episodes go by quickly with commercials and lack fully developed plot lines. While each episode has a plot and is entertaining, it takes a while for a multi-episode element like a relationship to come together. If they were to be longer or sans commercials, there might be more room to move the show’s progression along at a more exciting pace. New Girl is a light comedy for all ages, although the content may be most suitable for teenagers ranging to young adults. The show revolves around building friendships and relationships in unusual and comical ways, like when Nick joins Jess’ class under a false name and background because he is convinced that her adult student is trying to murder her. The silly plot lines make this show relatable to everyone out of college trying to figure out relationships and how to get started on life in the real world. 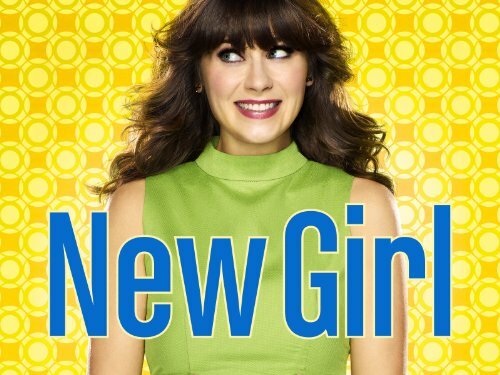 Anyone who enjoys lighthearted sitcoms or comedy shows, as well as any Zooey Deschanel fans, are sure to enjoy New Girl. The plot and dialogue is tame enough for young teens but clever and humorous enough to hook adults of all ages as well. All in all, I only foresee more success for this young show in the future.